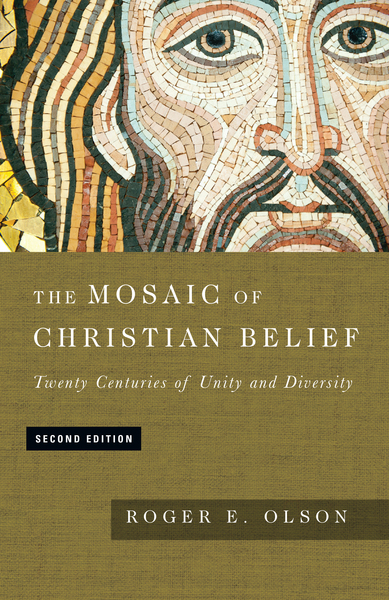 In The Mosaic of Christian Belief Roger E. Olson thematically traces the contours of Christian belief down through the ages, revealing a pattern of both unity and diversity. He finds a consensus of teaching that is both unitive and able to incorporate a faithful diversity when not forced into the molds of false either-or alternatives. The mosaic that emerges from Olson's work, now updated throughout and with a new chapter on the Holy Spirit, displays a mediating evangelical theology that is irenic in spirit and tone. Olson, writing with nonspecialists in mind, has masterfully sketched out the contours of the Great Tradition of the Christian faith with simplicity while avoiding oversimplification.